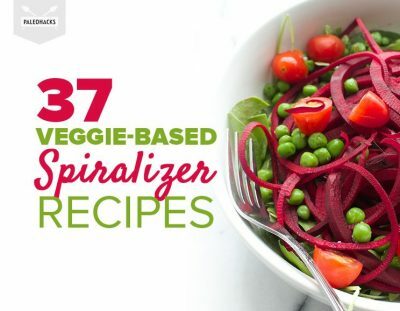 Deliciously light and easy ways to spiralize your veggies! 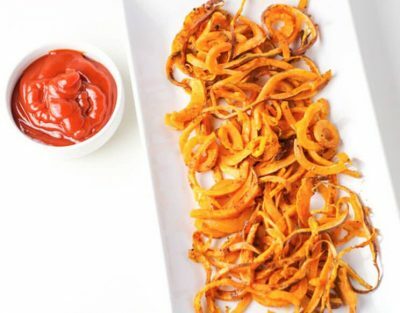 Do you own the magical kitchen gadget that is the spiralizer? 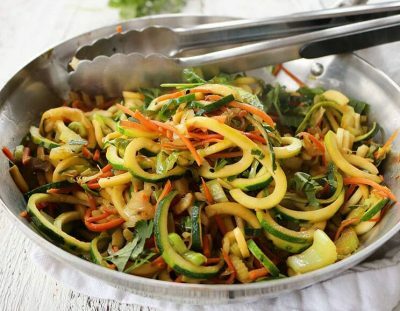 It turns sweet parsnips and zucchini into noodles, sweet potatoes into curly fries, and many other veggies into ribbons of varying thickness. 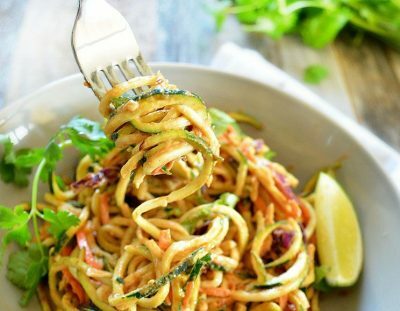 If you’ve been missing noodles in your life, here are 37 spiralizer recipes for your Paleo kitchen. 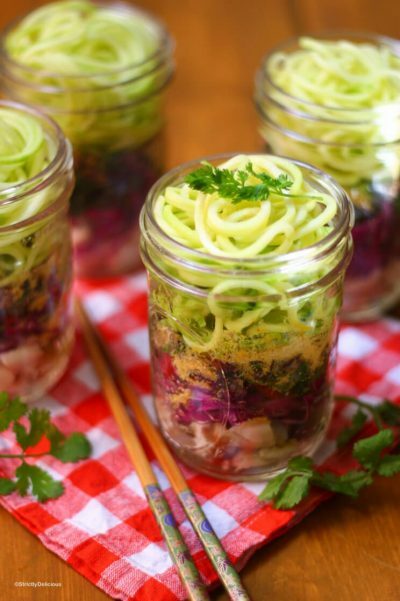 From DIY instant ramen mason jars to classic spaghetti dishes with sweet potato noodles, you’ll never want for variety when using your spiralizer. 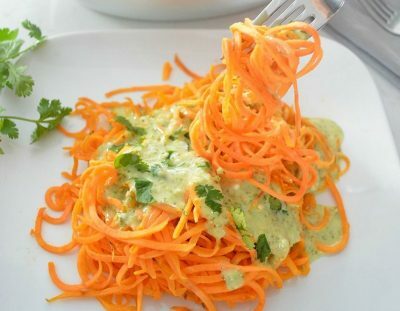 Spiralized zucchini gets tossed in a sweet and tangy sauce with veggies like carrots, celery and cabbage for a light, healthy meal. 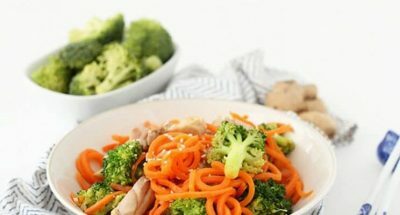 Carrots are a sturdy vegetable that make for a delicious stir-fry noodle in this sesame-ginger flavored recipe. 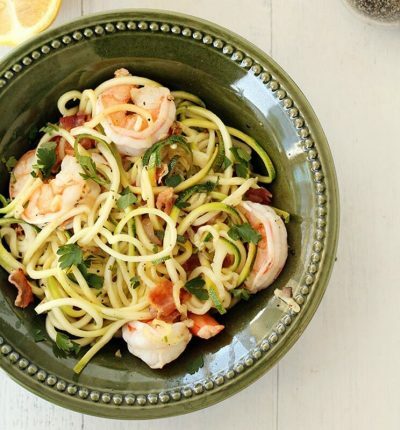 Up the ante on basic shrimp scampi with the addition of zoodles and, of course, bacon. 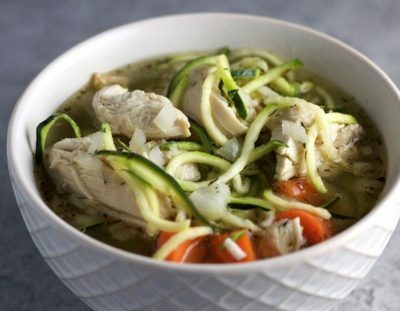 Warm your body and soul with this crock pot-based chicken noodle soup, made with spiralized zucchini noodles. 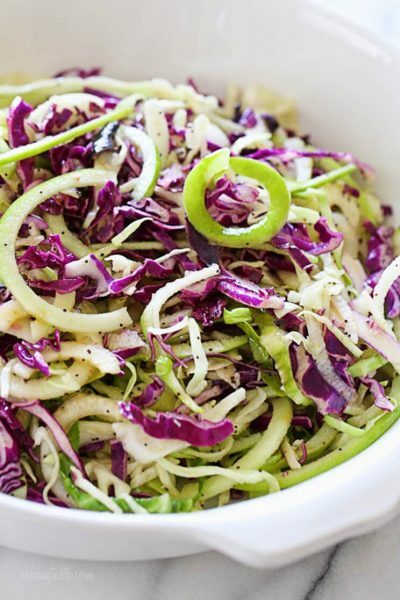 A bright and refreshing apple and cabbage slaw, dressed in golden balsamic vinegar and olive oil for a simple lunch. 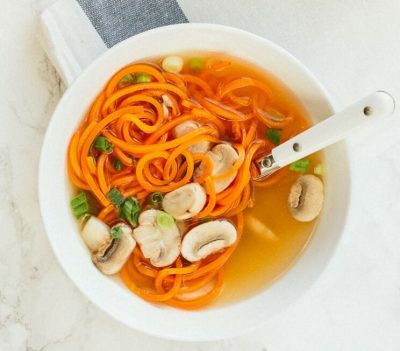 A super simple clear broth soup, filled with sturdy carrot noodles and the warm flavors of garlic and onion. 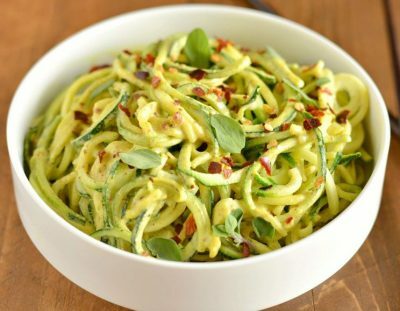 For a healthy meal that tastes indulgent, give these tahini bacon zoodles a try. Bonus: They can be served warm or cold! Kid- and adult-approved, this tuna zoodle casserole will please palates of all ages. 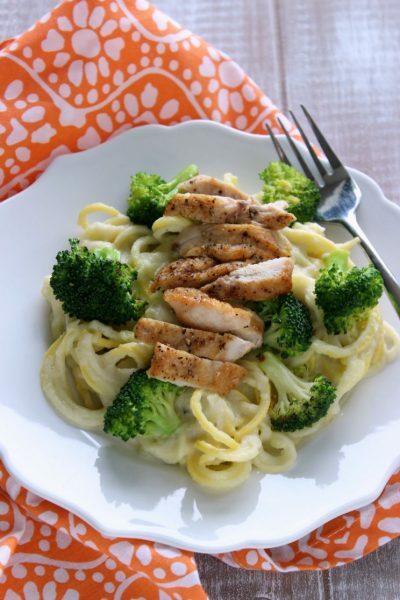 Who doesn’t love a creamy, nutty noodle dish? These zucchini noodles are so good, you won’t miss actual pasta. A chilled, nutty zoodle meal that will comfort you on a warm day. 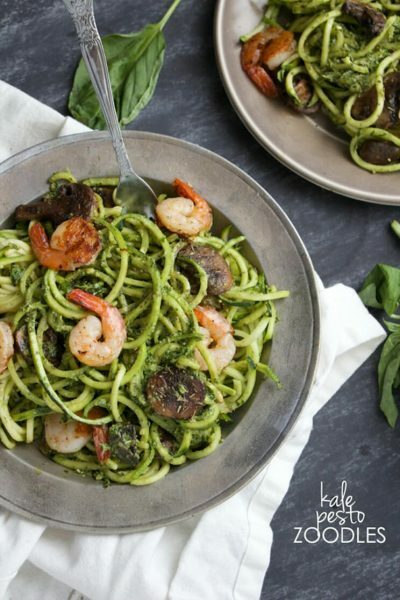 A fresh, homemade pesto smothers equally fresh shrimp and meaty mushrooms in this hearty meal. Take a vicarious trip to the Mediterranean with this healthful, zoodle-based Greek salad, drizzled in a lemon basil dressing. Don’t be confused by the name: swoodles are a cutesy way of referring to sweet potato noodles. A simple salad that requires you to spiralize your beets, mix up your dressing, and serve. For this lighter take on an Italian classic, a silky carbonara sauce made of coconut cream gets drizzled over zoodles. Sweet potatoes are another sturdy vegetable that holds up well to the spiralizer and stir-frying. Bright, juicy and sweet beet noodles steal the show in this colorful arugula salad. 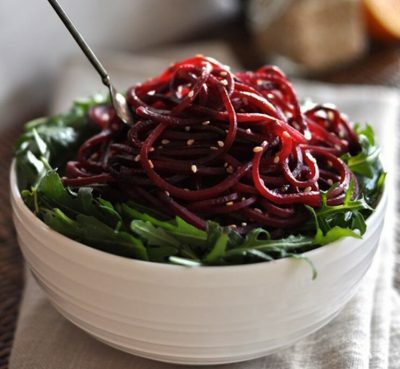 Warm beet noodles are tossed with every vegetable “but the kitchen sink” in this super healthy meal. Vibrant sweet potato noodles make the perfect vessel for this spicy poblano sauce. 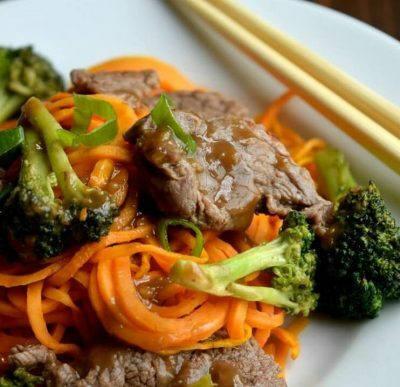 A healthified take on a takeout option, sweet potato noodles get coated in a coconut curry sauce and then topped with the world’s easiest mango chutney. 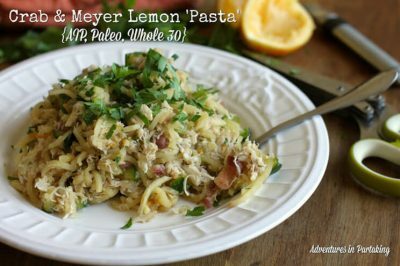 Spiralized summer squash take over for fettucine in this Paleo take on an indulgent classic. Tahini makes this raw salad creamy, while spiralized beet noodles provide crunch. With only four ingredients, this cucumber salad is light, refreshing and ultra-easy to make. 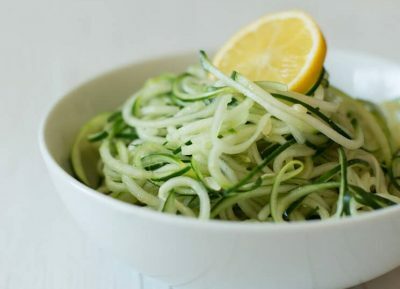 A sweet and spicy vinaigrette coats these simple cucumber noodles—a great way to get picky eaters to eat their vegetables! A seafood-filled Paleo take on pasta primavera, with zoodles as the base. Juicy crab and lemon make a beautiful pairing; add spiralized parsnip noodles to the mix, and you’ve got a meal. 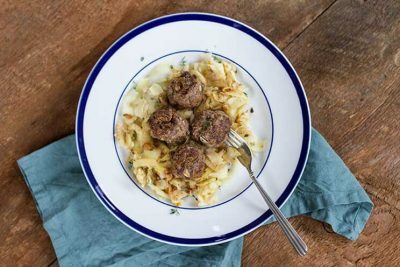 Now you can enjoy the flavors and convenience of an instant ramen cup and skip the guilt with this ingenious recipe. With a butternut squash-based “cheese” sauce, this bacon, chicken and zucchini noodle dish sounds like a healthful bowl of comfort. 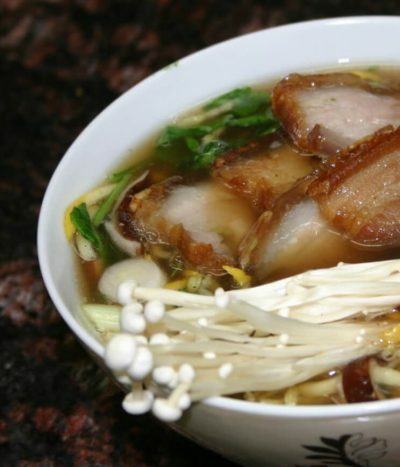 From a slow-simmered pork broth to fatty and delicious chunks of pork belly to zucchini noodles in place of traditional ramen, this meal is a labor of love. The spiralizer on its lowest setting works wonders when you need extremely thinly sliced vegetables and aren’t quite so handy with a knife. Spiralized parsnips work wonders as the noodles in this Asian-inspired dish. White sweet potatoes get warm and crispy for their symphony with citrusy, bison-based meatballs. 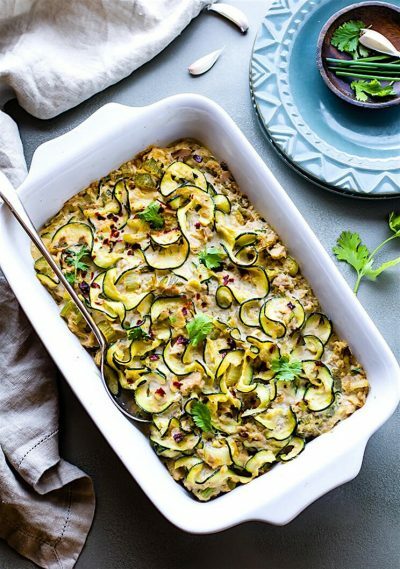 Spiralized zucchini and white sweet potato mingle in a curry sauce, sweetened with raisins. Try this simple pasta-free pasta salad, which uses seasonal bottleneck squash for its noodle base. 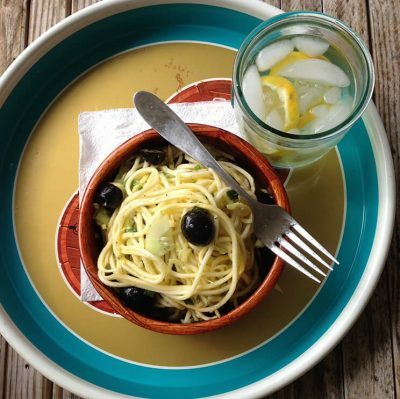 The Italian classic spaghetti tastes just as good when it’s replaced by sweet potato noodles. We promise. Crispy, crunchy fries with a hint of nutmeg—like the healthy version of your favorite curly fries. 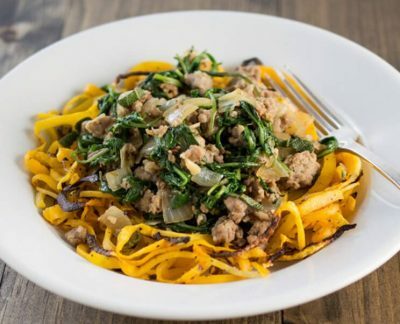 Yes, even creamy butternut squash can be converted into noodles with your trusty spiralizer. Previous articleIs Your Sunscreen Doing More Harm Than Good?